Gardening doesn’t need to be an expensive hobby. 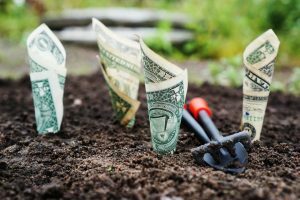 I’ve been digging in the dirt for a long time, and have found ways to minimize costs and maximize results. Here are my top ten ways to garden frugally and keep this rewarding hobby affordable. All of these are tried and true, as well as easy to do. They also work in most any part of the country – regardless of the soil or climate conditions. Make your own compost – There are plenty of good reasons to compost at home. You’ll cut down on the waste you produce and spend less on trash bags over time. It’s an inexpensive way to make rich fertilizer for your garden so you won’t have to pay big bucks on commercially sold options. Reuse rainwater – In addition to being good for the planet, collecting rainwater to use in your garden can help save you money on costly water bills. Having water on hand during the dry months is extremely handy in areas where drought is commonplace. Save seeds – The cost of buying seeds for planting every year adds up. Thankfully, most plants produce seeds that are easy to save. You can even participate in local or online swaps with your new saved seeds to get your hands on hard to find varieties. Trade with other gardeners – Get to know other gardeners in your neighborhood. They may be willing to swap veggies with you! Have an abundance of summer squash? Trade them for something you didn’t have a chance to plant, like onions or eggplant. Start from seed – Sure, you can buy seedlings at your local greenhouse or hardware store, but purchasing seeds in cheaper. Starting from seed ensures you grow the exact varieties you want. A mini seed-starting setup doesn’t cost too much and if taken care of properly will provide you with an impressive yield. Use natural pesticides – Commercial pesticides harmful to the environment and can be expensive, too. Make your own pest-control mixtures using non-toxic, biodegradable household products. Plant high yield crops – Choose to grow vegetables that will produce a lot and keep producing as you harvest. Good choices include indeterminate tomatoes, summer squash, eggplant, beans, and cucumbers. Grow the most expensive produce – What are your favorite veggies? Write down a list and head to the grocery store to find out which ones are the priciest. If you live in a climate with harsh winters, grow and freeze produce that’s expensive or hard to find during the cold months. Scour the neighborhood on garbage day – Establishing a garden doesn’t have to hurt your wallet! Drive around town on trash day to look for found objects that might be used to build raised beds or act as plant supports. You can also find potting soil this way. Choose easy to maintain plants – This is particularly important if you’re a beginner. Don’t choose hard to care for plants if you haven’t yet developed a green thumb. It’ll likely be a waste of money, and you’ll end up discouraged. And there you have it! Gardening on the cheap is totally doable. It requires a bit of thriftiness and a lot of patience, but there’s nothing like the taste of biting into a fresh garden tomato as a reward for all your hard work. I like cactus for easy to maintain plants. I have one in my kitchen, and its been growing for like four years. It just needs periodic watering and new dirt.